In olden days, People used to write each and every point that their teacher says. After inventing the Printing Press, the burden became halved and people used to note down few important points and started reading books. Thanks to John Gutenberg for making our learning effective. After some more days, technology has been improved to greater extent and Computers, smart phones, tablets and Internet came into the track. Now we can able to get instant information for what we wanted just by sitting in front of a monitor or just by operating a mobile. The main aim of this technology is just to groom the lectures but never to doom them. Because of this, we are able to watch the lectures of well qualified professionals. ”, Hope you’ve heard about “MOOC - Massive Open Online Course". MOOCs are online courses involving large-scale interactive participation and open access via the web. MOOC is very useful way of e-learning now days. But the way you present the MOOC will seriously matter, because there are thousands of professors who are creating MOOCs and are millions of students who are learning through MOOCs. An efficient MOOC will attract more number of students and it must make them pay attention. You won’t be in front of the students to watch their emotions while your lecture is going on, so you must make a perfect MOOC. 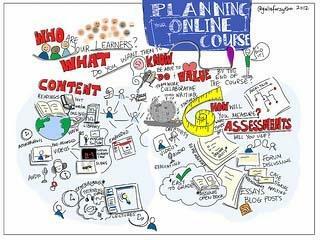 This article will further discuss about the ways to make a MOOC interesting. Make students aware of what they are being explained and also make them get to know evolve it. Design your MOOC to maximize the interactions between you & students and students among selves. And the next thing is to make an effective discussion forum. Discussion forum makes students to approach you easily and they get cleared their doubts. Make the discussion forum as much as effective; encourage them to communicate with tutors as well as others at any time. There are thousands of students who will do the course at different time zones; they will post their doubts any time. So, you must able to answer them instantly or daily or weekly depending on your free time. As I’ve already mentioned, there are many students of different time zones are doing the course with your MOOC. So, it’s better to get the technical help to clear any issues and it makes your service more effective. Assigning students to note some points or do some homework, make them to pay more attention. It’ll help you to know whether the students are able to understand and get involved in your MOOC. While you record your lecture, make it as much as effective by using several expressions, you just need to imagine that you are speaking to them virtually. Divide the students into groups based on their location or area of interest. Give them credits based on their performance; suggest them to do the tasks effectively by following some techniques. Hope these tips are useful for you to make an effective MOOC. Please share your experiences and some more tips here. The comment box is waiting for your personal views.